You’ve designed a sportswear collection … Now what? Building a sportswear collection is a great idea. Last year, we saw growth rates projected in the 3% range, 2014 proved that women are not motivated to shop for what is currently offered in stores. Experts across the board, say the women’s apparel market is in dire need of newness to prompt sales and the men’s sector has been celebrating success from the tailored market. Starting a sportswear business is more than just creating a contemporary collection for glamour or because you love Project Runway. You’ll need to understand the operations of a dynamic fashion industry and how your new sportswear collection will expand and thrive in the future. 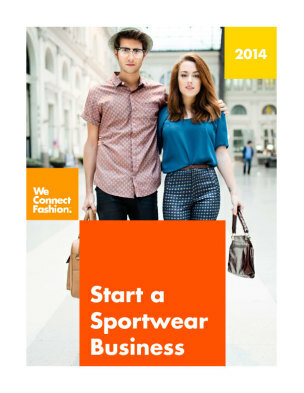 Start an Sportswear Business is built by industry experts who have been there, done that. This PDF publication is designed to help you plan your company, produce your product, promote your brand, and sell to buyers.